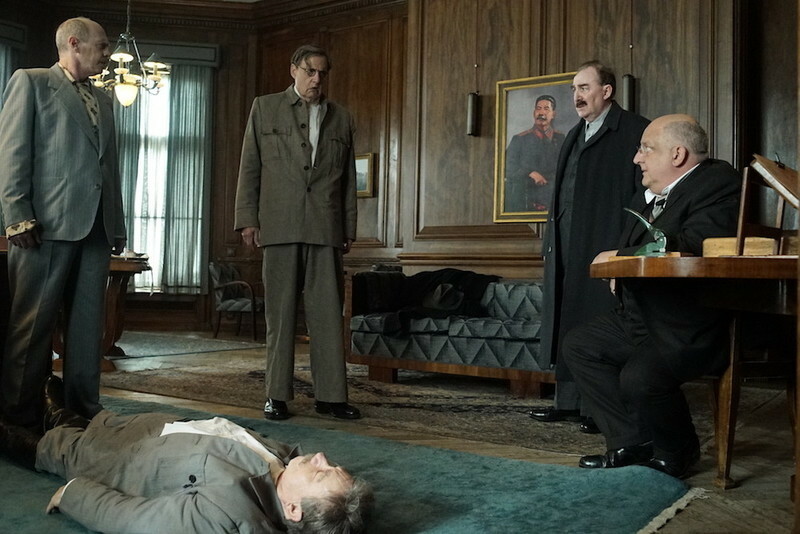 “The Death of Stalin” is a savagely funny film about what happened when the leader of the Soviet Union died unexpectedly and the people around him had to battle to be his successor in a way that would not get them sent to the gulag or shot if they failed. 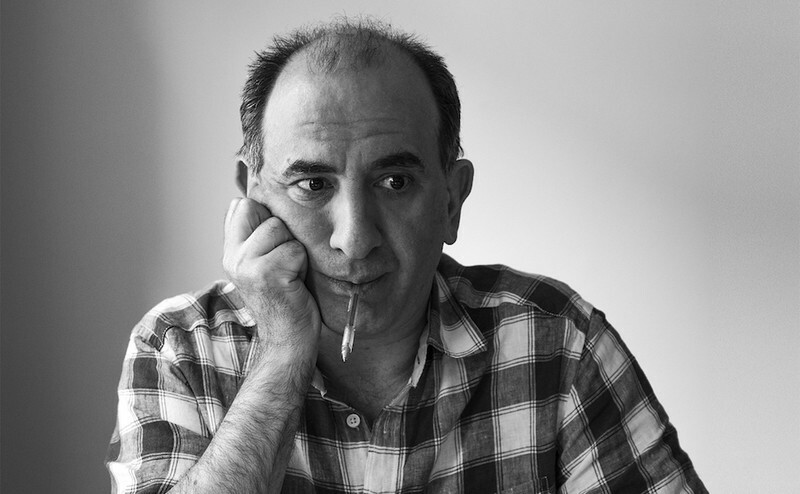 Director and co-writer Armando Iannucci spoke to RogerEbert.com about which scene was most difficult to write, finding the comedy in dire circumstances, and what makes this story set in 1953 so timely. The settings in the film combine that faded grandeur of the post-Tsarist Soviet Union with the chilliness of the Soviet era. They’re drab enough to convey the suffocating bureaucracy but vivid enough to be arresting on screen. We wanted to open on the most beautiful part of the film, a concert with a pianist in a dazzling blue dress playing Mozart, the audience in their best clothes, this lovely old Moscow concert hall (filmed at Shoreditch in London). You think, “What could possibly go wrong?” And then I wanted to end up in this almost bestial setting with all the cast reduced to animals in what looks like a barn. And the same applies to the tone of the film. We had a few weeks to rehearse and it was all about finding the tone and, no surprise, it was about playing it straight. The laughs will come from the behavior and the situation and the more straight you play it, the funnier it will be. We’re dealing with very emotional, grim truths about people being killed and millions being affected by it. If we’re playing it for laughs, that wouldn’t match the impact of what was really happening, so everything has to be played for real and the audience will laugh at the bits that are naturally funny. You have a superb cast and they are varied in background and in accent. You have Simon Russell Beale, a Shakespearean theatrical actor and Michael Palin, a member of Monty Python, and Steve Buscemi, a New York City fireman-turned actor [playing Nikita Khrushchev]. You did not make any attempt to coordinate their accents or make them sound like native Russian speakers. The Russian press said, “Thank you for not doing that fake Russian accent thing.” The reason they hate that is that Russia has hundreds of accents, like England and America. There’s Ukraine, where Khrushchev came from, Georgia, where Beria and Stalin came from, there’s Uzbekistan, Kazakhstan, Belarus, so, what accents? I knew it was going to be primarily for an English-speaking audience with English-speaking actors and I wanted to the audience to feel, yes, we’ve recreated 1953 Moscow but it’s here and now. If you start giving them these accents that feel false, then you’re putting a translucent curtain between the audience and the actors. So, talking to Steve Buscemi about Khrushchev, we agreed he was an earthy man-of-the-people guy. He didn’t go to university and he had a bit of a hang-up. He thought the intellectuals were laughing at him. So a street-talking New Yorker was the right accent for him, whereas Beria was a little more contained, short sentences, and keeps it as emotionless as possible. I told Dermot Crowley to just keep his Irish accent for Kaganovich. And then Jason Isaacs said, “Can I do Yorkshire?” because Zhukov was the only one who could shout at Stalin and Stalin was slightly afraid of Zhukov and in the UK Yorkshire is a “just tell it like it is” kind of accent. The cast is from different places and the people they play are also from different places. And you actually had to tone down some of the details because the reality was so over the top. Yes, there were certain things we toned down because we just thought, “People won’t believe it.” Yes, you see Zhukov covered with medals, but if you go online you will see that in reality he wore twice as many. And the concert at the beginning [where they have to have the performance a second time because Stalin wanted a recording and they did not want to tell him there wasn’t one], the real story had three different conductors because one fell over and knocked himself out and the second one they brought in was drunk. I thought we had better stick with two. One theme in all of your work is the unexpected ways people suddenly tell the truth, even when it reveals them to be embarrassingly needy or ignorant. And added to it here was that for these characters, even when Stalin was dead, they don’t know when they can speak their minds, so a lot of it is almost two things being said at once. For me, the challenge was to be able to write that and have it clear. The scene that was the greatest challenge to write—which has become my favorite scene—was that committee scene in the middle. Fundamentally, nothing visually happens. It is just people sitting at a table. And they’re having an argument about big things, like whether people should live or die. But it cannot be an argument because everything has to be unanimous, that thing of trying to keep everything down and hidden, a lot of coded language. I spent a lot of time taking shots of people not speaking. I wanted to get their expressions of looking around to see what everyone else was doing. It becomes an intense passive aggression where people are trying to smile at same time they are loathing the person they are speaking to and even trying to kill them. What does this story have to tell us about today’s politics? We were shooting in the summer of 2016, so it was not a response to what is going on today, but it was when democracies around Europe were getting into trouble and extremist movements were starting. We were seeing people like Putin, Berlusconi, and Erdogan, the strong leader who changes the constitution once he gets elected. Trump is an extension of that. The kind of “once I’m elected, I’ll do what I like and start suggesting we change some rules around here.” There are several generations now who have only known democracy. They have no experience with the alternatives. So, if they get a bit jaded by democracy, they think, maybe we should try the alternative, give it a go. Let’s talk about the irony of having this movie banned in Russia. It’s so 1950’s. What are they hoping to achieve? “How dare you insult us by saying we ban stuff? For that reason we are banning you!” And it’s a time when it’s impossible to ban stuff, especially a movie, especially in Russia where they’re experts at hacking into things. The Russian press reported that 60% of Russians want to see the film because they know it’s been banned.